want to progress your dream of smallholding towards a reality? want to know more about smallholding before taking the plunge? want to discover how you can successfully mix smallholding and full-time employment? currently participate in smallholding but feel a little out of your depth? 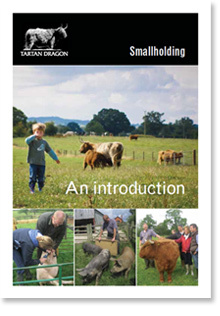 On this day course we intend to show what smallholding is really all about. Give you hands-on experience and answer your questions so you can start to become familiar with the realities of smallholding and feel confident about pursuing the smallholding dream. Over the last 12 years we have built and managed a successful smallholding (while remaining in full-time employment and raising two children). Our knowledge and experience covers cattle, pigs, sheep and chickens as well as how to deal with the paperwork. 10.00: Refreshments and introductions. What do you want out of smallholding and what do you want out of your day with us? 10.30: Setting-up a smallholding. DEFRA rules and regulations. 11.00: Tools and equipment. Hand tools, tractors and trailers. Fencing and grassland management. Vets. 11.30: Pigs. Meet our pigs. Learn about buying, housing, feeding, handling and breeding. 12.30: Lunch: (made with our home-reared highland beef). We fully encourage discussion and questions during this hour in order to make full use of time. 1.30: Sheep: Meet our sheep. Learn about buying, housing, feeding, handling and breeding. Chickens: Meet our chickens: Learn about buying, housing, feeding, handling and breeding. 2.30: Cattle: Meet our highland cattle: Learn about buying, housing, feeding, handling and breeding. 3.30: Abattoirs, butchering and marketing your produce. Final questions and answers. The course is limited to eight people. Please bring outdoor clothes, wellies, and waterproofs if it looks like rain. £95 per person including lunch, refreshments and a copy of lecture notes. Courses will run throughout the year on Saturdays or Sundays, to suit. Please contact us to arrange a date.